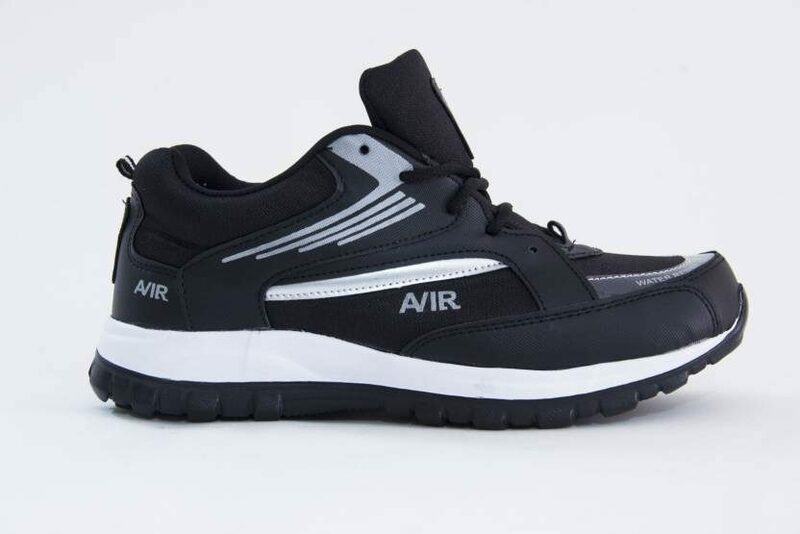 BEEROCK offers its amazing Oxygen running/sports shoes for men in Black. Outer Material= Synthetic Leather;Inner Material= Synthetic;Sole Material= EVA;Shoe Size= 9 (UK/India);Heel Height= 1.5 inch;Pattern= Colourblocked. This lace-up pair of shoes is not only fit for those strict jogging routine and workout sessions but for those casual hanging out time with friends. Pair it up with tees and jeans for a simple yet strong look. Quality: All BEEROCK products are proudly made in India with finest quality material. We trust our products and will never sell anything that we won't use ourselves. BEEROCK offers its amazing Oxygen running/sports shoes for men in Black. Outer Material= Synthetic Leather;Inner Material= Synthetic;Sole Material= EVA;Shoe Size= 9 (UK/India);Heel Height= 1.5 inch;Pattern= Colourblocked. This lace-up pair of shoes is not only fit for those strict jogging routine and workout sessions but for those casual hanging out time with friends. Pair it up with tees and jeans for a simple yet strong look. Care Instructions: Allow your pair of shoes to air and deodorize at a regular basis;use shoe bags to prevent any stains or mildew;remove dust or dry dirt from the surface using a clean cloth. BEEROCK is a sports accessories brand owned by Biosport Pvt. Ltd. Quality: All BEEROCK products are proudly made in India with finest quality material. We trust our products and will never sell anything that we won't use ourselves. Buy with Confidence: We ship out all orders within 2 days of placement to make sure you get your delivery as fast as possible. We built our brand on customer satisfaction and all of our customers get a full refund if they are not 100% happy with their orders.